Welcome to Tribe of One…where our differences are recognized as strengths and our creative talents, gifts and abilities are freely offered to create something bigger than any of us are on our own. 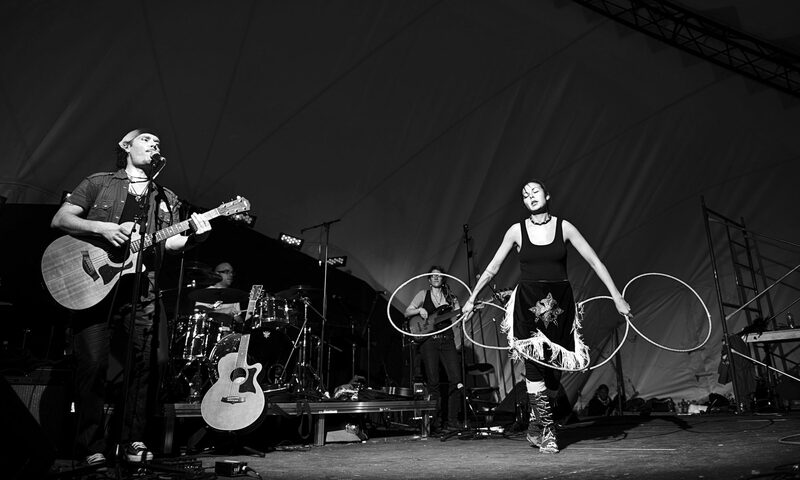 Tribe of One is a national collective of musicians, dancers, painters and slam poets who fuse their traditional indigenous and settler cultures through modern forms of artistic expression. Tribe of One specializes in performance workshops and cultural presentations for educators, cultural celebrations and national events. Tribe of One is a national artist collective featuring First Nations, Metis, French/English & Settler musicians, dancers, painters and slam poets.